Netflix profiles have been showing up intermittently on some streaming devices, but now the feature is officially launching. Profiles will start hitting some platforms in the coming days, with more to follow soon. Sadly, our beloved Android is not in this first batch. 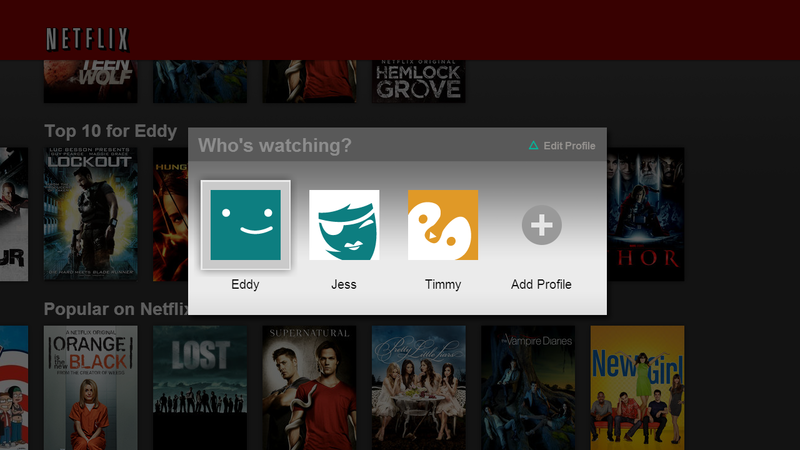 When you create profiles on Netflix, each one acts like a sub-account with its own recommendations, history, and streaming queue. Although, Netflix didn't even mention the individual queues this time – they seem more interested in personalized recommendations and Facebook integration. You'll even be able to set up profiles with different combinations of people or different moods. First up to get profiles are the website, iPad, iPhone, PlayStation 3, Xbox 360, Apple TV, and some smart TVs and Blu-ray players. Android is coming sometimes this fall. We will let you know when that happens. Until then, you are authorized to hate Netflix.